EL ENCUENTRO NACIONAL DE TEATRO 2018, SE REALIZA PORQUE ES UNA NECESIDAD DE LA COMUNIDAD TEATRAL. HACE 7 AÑOS SE LLEVÓ A CABO EL ÚLTIMO CONGRESO Y DESDE ENTONCES LOS ENCUENTROS SON EVENTUALES, PARCIALES, SECTORIALES Y REGIONALES. ¡POR FIN Y DE MANERA AUTÓNOMA, NOS ENCONTRAMOS! LA LLEGADA PARA ESTE ENCUENTRO TIENE UNA SERIE DE ANÉCDOTAS CIRCUNSTANCIALES. 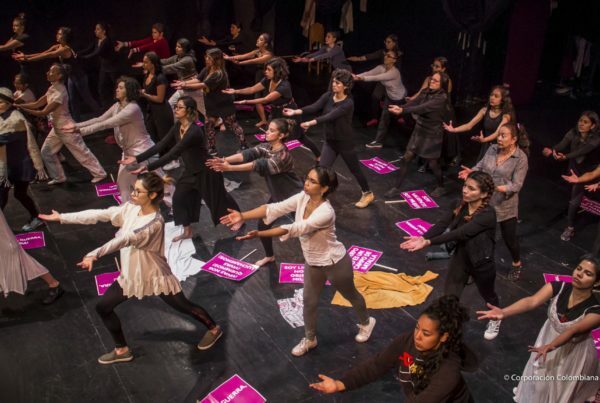 PERO LA RAZÓN FUNDAMENTAL Y PODEROSA ES LA NECESIDAD IMPOSTERGABLE DE QUE LA COMUNIDAD TEATRAL SE ENCUENTRE CONSIGO MISMA, CON LA SOCIEDAD Y CON LA INSTITUCIONALIDAD. EN PRIMER LUGAR, TENEMOS QUE RECONOCERNOS DE NUEVO DESDE EL OFICIO, LA DEDICACIÓN Y LA CREACIÓN DE OBRAS, GRUPOS, SALAS FESTIVALES Y DIVERSOS PROYECTOS CREATIVOS Y PEDAGÓGICOS Y DE INVESTIGACIÓN, QUE SON EN GRAN PARTE, UNO DE LOS PULMONES CULTURALES DEL PAÍS. EL PAÍS HA CAMBIADO. COLOMBIA ESTÁ INTENTANDO SALIR DE UNA GUERRA PROLONGADA Y ENCONTRAR NUEVOS ESPACIOS DE CONVIVENCIA Y RECONCILIACIÓN. ADEMÁS, ESTAMOS INICIANDO UN NUEVO GOBIERNO QUE ESTÁ PLANTEANDO TRANSFORMACIONES EN LAS POLÍTICAS PÚBLICAS, COMO LA ECONOMÍA NARANJA, QUE NOS AFECTAN Y NOS CONCIERNE A TODOS. 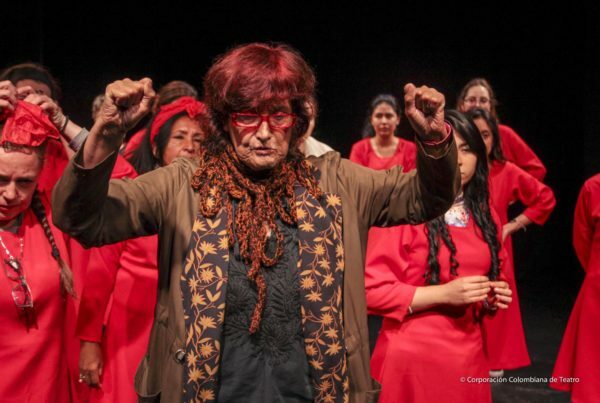 ES UN MOMENTO PROPICIO PARA QUE PLANTEEMOS LAS NECESIDADES Y TAMBIÉN LAS SOLUCIONES URGENTES DEL TEATRO COLOMBIANO. EN ESTA OCASIÓN, ESTE ENCUENTRO HA SIDO CONVOCADO POR DIVERSOS SECTORES. GRUPOS, DIRECTORES, ACTORES Y ORGANIZACIONES Y PERSONAS. ESPERAMOS QUE SEA LO MÁS PROPOSITIVO POSIBLE. QUE APROVECHEMOS ESTA OPORTUNIDAD ÚNICA Y AUTÓNOMA PARA ENCONTRAR FUTURAS Y NUEVAS FORMAS DE COMUNICACIÓN PERMANENTE Y DE COORDINACIÓN PARA QUE LAS PROPUESTAS DEL ENCUENTRO SEAN POSIBLES. BIENVENIDOS TODOS Y TODAS. LOS GRUPOS, LOS ACTORES, LAS ACTRICES, LOS MAESTROS Y MAESTRAS, LOS REPRESENTANTES DE SALAS INDEPENDIENTES. Y, BIENVENIDA TAMBIÉN LA INSTITUCIONALIDAD QUE VENDRÁ A RECIBIR LAS PROPUESTAS.